The Marketing Coordinator will create and curate a variety of design elements for digital and traditional platforms, including an annual report, blog posts, brochures, infographics, fact sheets, website, and social media. He or she will ensure uniform delivery of appropriate messaging to all relevant stakeholders and audiences. He or she is responsible to create visual elements that will drive awareness, adoption, and loyalty from our customers and core audiences, such as corporate partners, individual donors, policymakers, community leaders, and strategic segments. He or she will work in concert with the Communications Coordinator to provide quality control for all marketing and communications materials. Assist various departmental collateral material needs, determining projected costs, and guiding projects to completion within determined budget and time constraints. Oversee the development, ordering, and dispersal of all organizational materials (brochures, posters, newsletters, pledge forms, etc. ), videos, and websites to ensure consistent message delivery. Maintain interactive website as a primary communications tool and marketing resource for the United Way of Southwest Virginia. Assist in the development and management of social media, blog, and email content. Designs and delivers graphic resources such as headers, product images, promotional images, banner ads, email/Web/landing page graphics, online ads, etc. Assist with in-house photos and videos and coordinate outside photo and video shoots. Gather, analyze and evaluate social media and website metrics to support the United Way’s mission, vision, and strategic goals and analyze the market share of United Way’s philanthropic outreach in the community. Manage the use of United Way logo and brand identification and other trademarked/copyrighted materials, ensuring consistent, appropriate usage throughout the organization (both internal and external) on all materials. 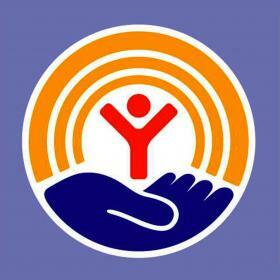 Ensure proper documents, records and photos are kept as a means of preserving the history of United Way.